Are you planning to spend a day at the beach with your family and friends? That’s a great idea! Hitting the beach is the most common activity during spring. It is the perfect thing to do when the weather is warm and the cool wind blows on your face – the beauty of nature. Of course your kids would love to be at the beach as well; build sand castles, collect seashells by the seashore; play with pail and shovel along the sand. Aside from that, there are other fun activities at the beach that everyone could join such as beach volleyball and banana boating. That is why being at the beach is a relaxing and exciting adventure. Beach trips are pretty much an excellent way to have fun under the sun. However, before you head out the door and explore the marvel of the cool waters and the sand, you must prepare yourself and pack necessary things. You have to bear in mind that you will be exposed to the sun and other natural pollutants; make sure you have everything you need in handy. Kids can be sensitive as well during spring. They need extra safety precautions to ensure that they will not incur any harm or illness while enjoying the beach. Here are beach necessities that you must remember to bring along with you. Being at the beach, you and your family or friends will be much exposed to the sun. Exposure to the sun can cause skin damage, hence, protect everyone with a sunscreen/sunblock with SPF 30 and above. Place a picnic blanket above the sand while you enjoy the panoramic view of the beach. Or enjoy a family picnic at the beach using this blanket as a cover. You can either purchase of sew your own blanket for outdoor activities. Beach towels will keep you and your family dry. Protect your eyes from the sunlight and look extremely cool at the same time! You have to select the sunglasses that would best keep you safe from the dangers or ultraviolet radiations to your eyes. Sanitation is a priority when you’re at the beach. You should have a hygiene products checklist to keep everyone clean and fresh during the entire trip. Antibacterial wipes and soap are the most essential to pack. Prepare lunch for family and friends to share with. Beach activities can be tiring and hungry; having a delicious meal for lunch would suffice it! Don’t forget to bring snacks as well for your kids. 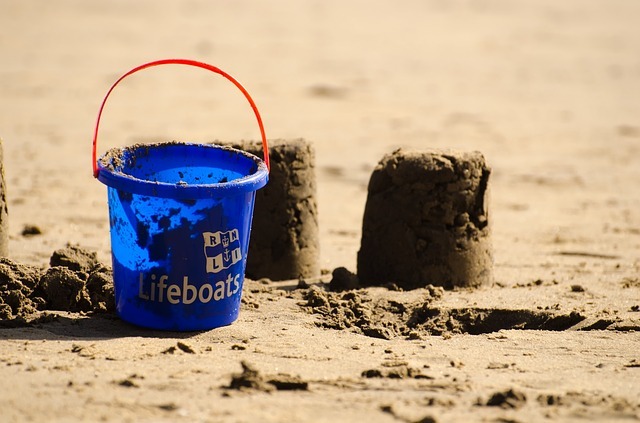 Don’t spoil your kids’ time on the beach; so make sure to pack sand toys for them. Beach balls, shovels and pail are just one of the best beach toys you could bring for your kiddos to play and enjoy. Flip flops are the easiest way to kick off your spring time at the beach. It is a convenient pair of slip ons for your feet’s defense against the burning heat of the sand and the hard objects. It is the ultimate beach holiday essential. As you will bring your phones or any other digital devices, ensure to bring chargers. You’ll never know when emergencies will arise, it is always better to have your chargers with you. While taking a quick break, your kid would love to play with the tablet, and you don’t want them crying whenever it goes dead, right? So keep it always with you. Capture as many moments as you can. Cameras have become an essential thing to bring wherever people go. Pictures hold great and fond memories of a time well spent with the people you love. Be ready in case of emergency. It is inevitable to acquire scratches, allergies or injuries while on the beach. Pack up medicines, bandage and gauze or you can look for expert recommendations for things to include in first aid kits. Now, after packing all of these stuff in your bag, the last thing that you have to prepare would be yourself and your family as well. Prepare breakfast and together so that all of you will have the energy for a whole day at the beach. Give your family supplements to boost their immune system and protect them from unforeseen illnesses. Certainly, grandma or grandpa would not want to miss the fun, right? Well then, pack natural joint supplement to relieve their joint pains after enjoying the games at the beach. Once you have everything packed, you’re set and ready to go!